WASHINGTON, DC — Several representatives on both sides of the aisle revived an effort earlier this month to reform the Renewable Fuel Standard (RFS) and end ethanol fuel-blending mandates. If approved and signed by the president, the proposed law would require recreational boaters nationwide to fill their gas tanks with cleaner and safer fuels. The Renewable Fuel Standard Reform Act of 2015 was introduced Feb. 4 by Rep. Bob Goodlatte (R-Virginia) and co-sponsors Jim Costa (D-California), Peter Welsh (D-Vermont) and Steve Womack (R-Arkansas). More than 50 organizations, including American Sportfishing Association, BoatUS and National Marine Manufacturers Association, formally expressed support of the bill. It is the second time representatives have sought to reform the RFS. A bipartisan effort in the House failed in 2013. Sen. Dianne Feinstein (D-California) proposed a similar bill in the Senate. Both bills failed to come to a vote. Costa, Goodlatte, Welsh and Womack’s bill proposes to eliminate corn-based ethanol blending and cap ethanol blending into conventional at 10 percent, commonly referred to as ethanol 10 or E10. Welsh said ethanol is bad news for boat engines. BoatUS President Margaret Podlich explained the bill would remove ethanol mandates and create more opportunities for other biofuels. “This bill, which has both Democrat and Republican support, will effectively remove mandates for higher blend ethanol fuels (more than 10 percent) and allow for investment in other more compatible biofuels,” Podlich stated. Environmental Protection Agency (EPA) officials have been trying to address misfueling at gas stations. In February 2013, the EPA approved a new blender pump configuration for gas stations seeking to use a common hose and nozzle to dispense E10 and E15 fuels. Podlich said the combination of E10 and E15 at the same gas pump could result in boaters being confused and filling their boats with E15 instead of E10. 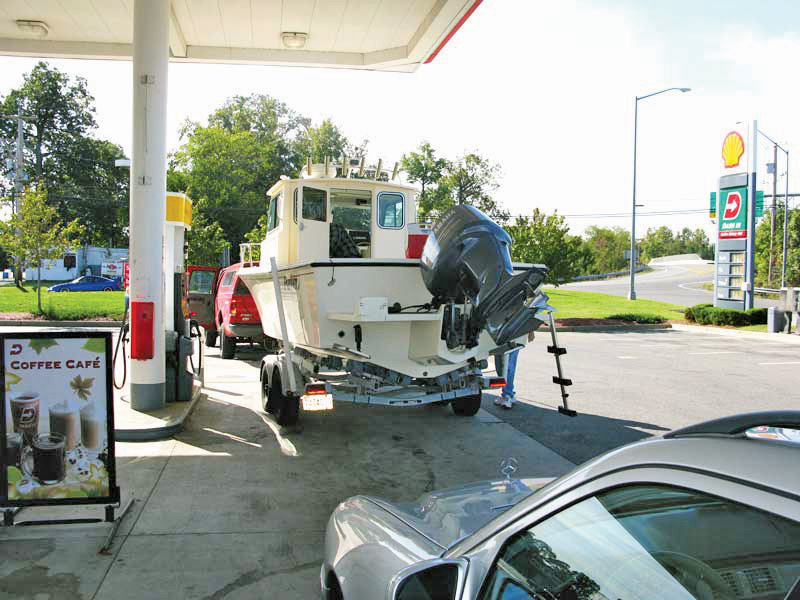 According to BoatUS, boaters are prohibited from using E15 in their vessels. According to The Hill, the Renewable Fuel Association (RFA), an ethanol lobby, opposes the proposed bill. The lobby reportedly issued a study last week at the National Ethanol Conference in Texas presenting the economic benefits of ethanol. Specifically, the study reported 14.3 billion gallons of ethanol was produced in 2014, potentially offsetting 515 million barrels of foreign oil. RFA has promoted increased use of ethanol blends. The RFS became law in 2005 and required biofuels such as corn-based ethanol to be blended with gasoline. Several years later, the EPA permitted gas stations to use E15 blends in an attempt to keep pace with the standard’s mandates. The EPA reportedly approved E15 blends to reduce greenhouse gas emissions. However, the American Automobile Association challenged the EPA’s claim in 2012, issuing a statement that E15 potentially damaged fuel lines. An investigative report published by the Associated Press (AP) in November 2013 corroborated claims of the harms caused by fuels with corn-based ethanol. When the bill was introduced Feb. 4, the EPA reportedly did not set blend mandates for 2015 and 2016. The Log will continue to track this bill — H.R. 704 — as it moves through the House’s Energy and Commerce Committee. To become law, the bill would have to be approved by a majority vote in both houses and then signed by the president.